PERAZZO LAW SERVES VICTIMS OF ATV-RELATED ACCIDENTS. Miami-Dade, Florida: A child aboard an ATV crashed into a automobile Sunday afternoon and had to be taken to the hospital in a helicopter. The accident occurred during the annual “Bikes Up, Guns Down” rally at the intersection of NW 16th and NW 5th Court in Florida City. Aerial footage showed reckless riding by the demonstrators, many of whom performed stunts on I95 and could be seen weaving in-and-out of traffic throughout Miami-Dade County. Though ATV’s are fun to ride, especially round Miami Beach, some 400 ATV-related fatalities happen every year across the United States, with kids under 16 accounting for 1/3 of all all fatal accidents worldwide. From 2014-16, there were 60 reported ATV related deaths in Florida, which ranks 6th in the USA. Though purely recreational for about 80% of riders, Florida law dictates that ATVs are prohibited on public streets, avenues, or highways. Furthermore, kids under 16 must wear a helmet regardless of whether they are riders or passengers. Non compliance could lead to fines as well as serious head injury in the event of an accident. Perazzo Law advises ATV operators to refrain from operating an ATV on public roads in order to avoid legal issues in the event of an accident or run-ins with the law. Despite the misconception that ATV’s don’t require a license to be operated in public, the DMV and Florida law dictate that a valid license is required to operate an ATV. Operating an ATV, as detailed in s. 317.0003, in Florida is prohibited. However, operating an ATV is permitted by law for daytime use and on unpaved roads bearing under-35 mph speed limit signs. Furthermore, ATVs may only be operated by licensed drivers or minors supervised by a licensed driver. The ATV operator is obliged by law to show proof of ownership if requested by the authorities. 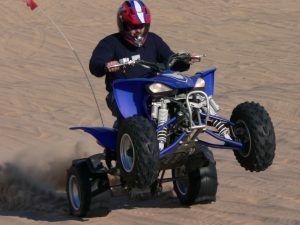 Children under the age of 16 may ride or be ridden on an ATV as long as they wear eye protection and a helmet that meets United States Department of Transportation standards. Only individuals authorized by a state or federal agency may operate ATVs on public roads. Police officials may use ATVs on beaches and public roads in order to perform civil duties and uphold the law. First offenders of ATV violations may consist of a written warning. A second offence will consist of a $100 fine, with third-time offenders on the hook for $250. 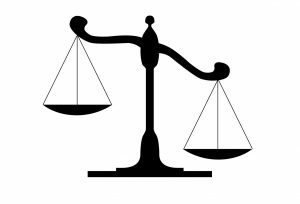 The fourth offence fine doubles to $500, with the fifth offence equal to a $1,000 fine or 90 days behind bars. Accidents aboard ATVs are different from incidents that involve cars as the ATV rider will in most cases be propelled from the vehicle. Many times, riders will suffer head trauma if not wearing a helmet, which is required by law for riders 21 and over that do not carry at least $10,000 in medical insurance coverage. Anyone under the age of 21 must wear a helmet according the DMV. Other injuries may include fractures, neck and spinal-cord damage, or even death. Sadly, victims found negligent with regards to safety and use of an ATV, may not be eligible for medical or financial compensation following an accident. This said, Perazzo Law stresses the importance of obeying the law when it comes to ATV use in Florida. 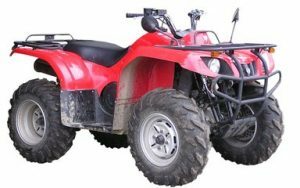 In the event of a fatality or injury stemming from an ATV accident, the operator of each all-terrain vehicle involved in the crash shall give notice of the crash pursuant to s. 316.066. If safe to do so, remain still until the police and medics arrive. If you, a friend or relative has been injured in an ATV accident in Miami-Dade or Broward, contact Perazzo Law ONLINE for a FREE consultation.